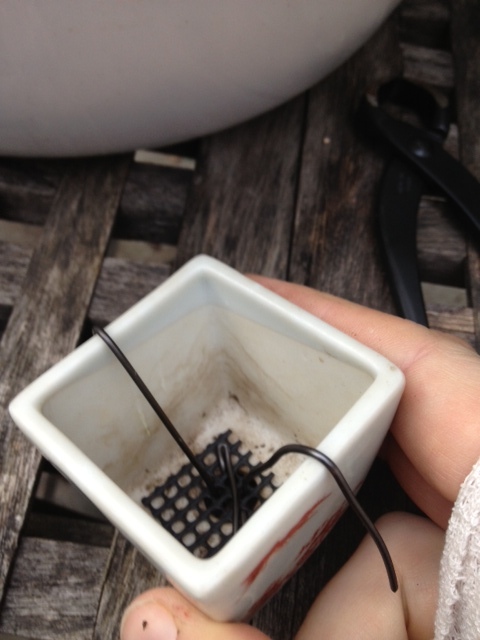 You are currently browsing the category archive for the ‘Re-potting’ category. The tree I worked on this weekend was a corky bark elm. It’s a tree a friend grew and I purchased from him a year or so ago. The tree as I received it. When i bought the tree, the trunk was covered in moss and the branch structure was difficult to see through the foliage. 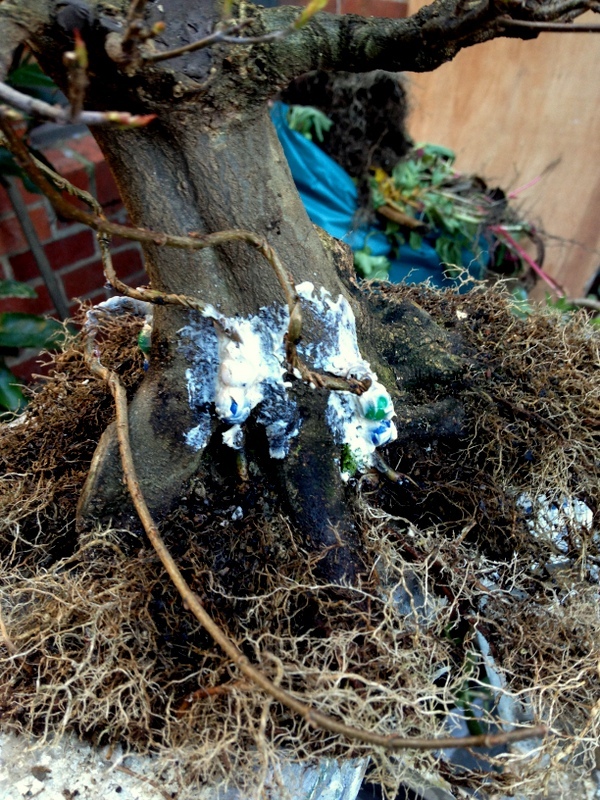 Once it was home, the first step was to prune the tree and clean the trunk and root base. After a prune and clean up. After cleaning the trunk and nebari and giving the foliage a good prune a few things became obvious. 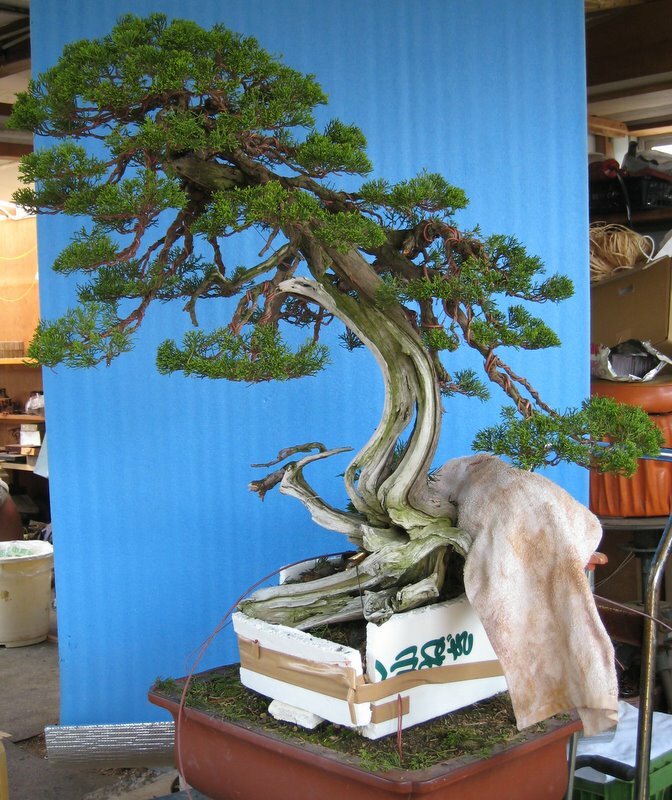 Firstly the tree had a good nebari thanks to the work my friend did while developing the stock. The trunk on the other hand was not bad but had a gentil curve in it which for some reason seemed awkward. 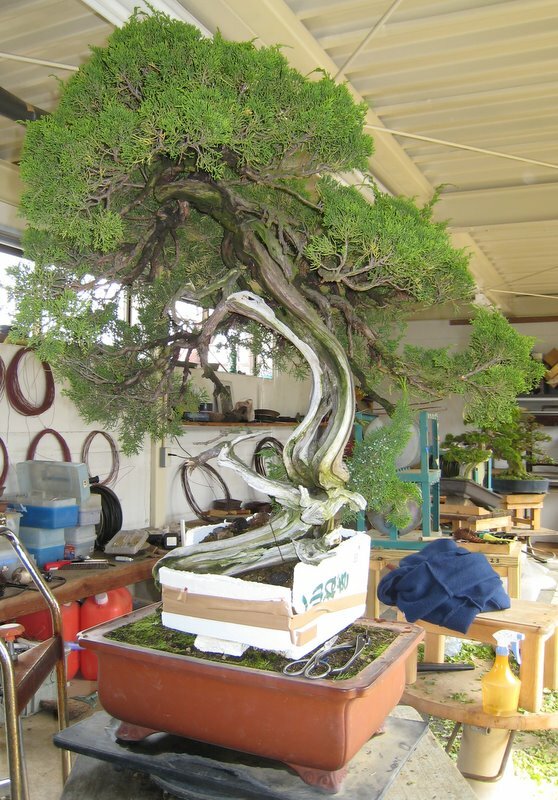 The branch locations were ok but would require a fair amount of work to form an upright tree. A season passed and I finally got around to re-potting. 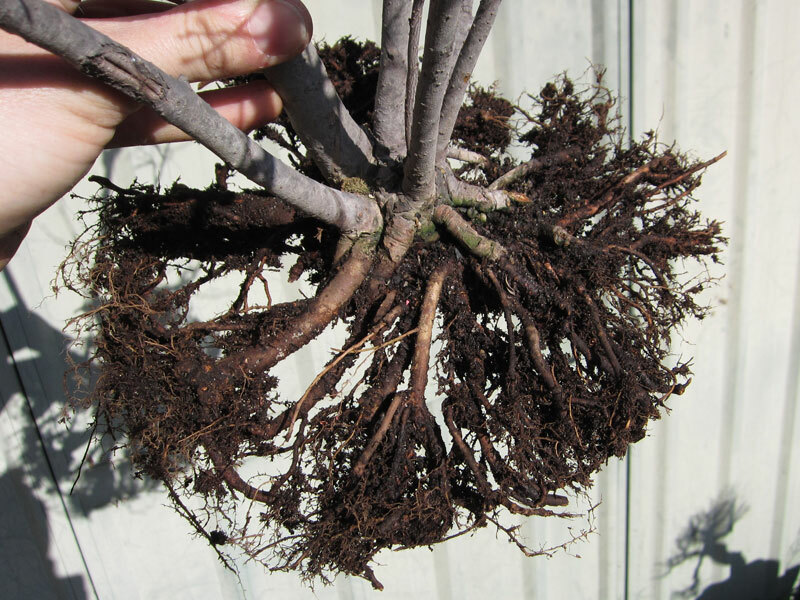 Re-potting was my chance to change the planting angle of the tree and really think towrads the future of the tree. 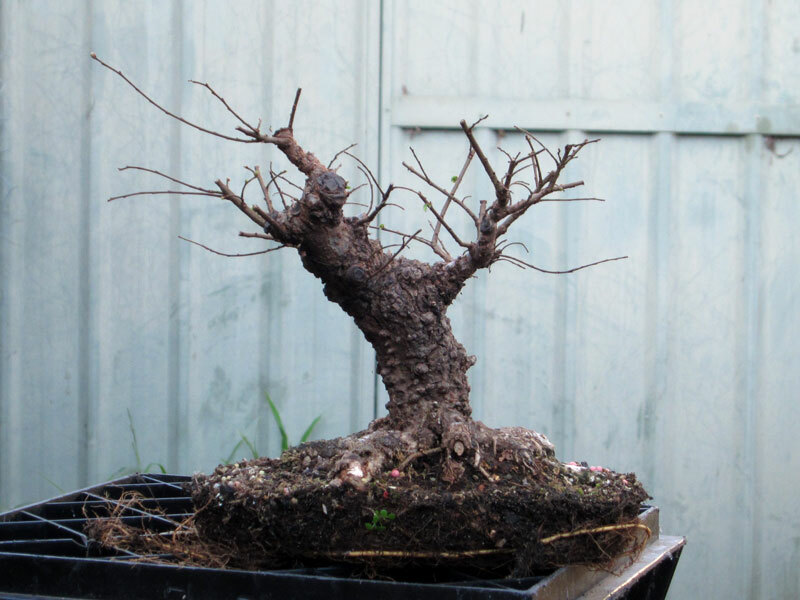 I had toyed with the idea of making this tree a semi cascade while it was potted but once I bare-rooted the tree and tried it in a few semi-cascade positions I wasn’t entirely convinced. I spent some time tilting the tree this way and that, changing fronts, imagining grafted branches until I finally settled on a design. 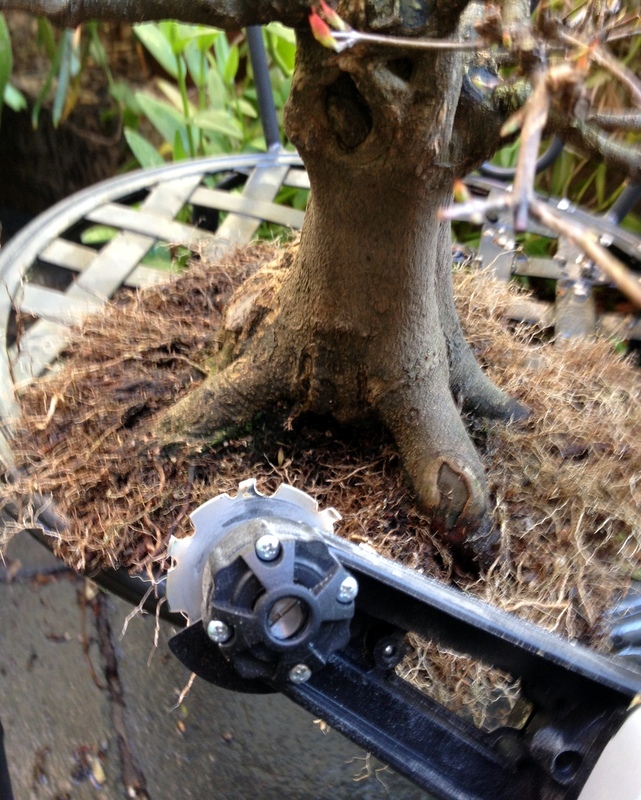 I pruned a few branches and also exposed some cambium in a couple of areas. 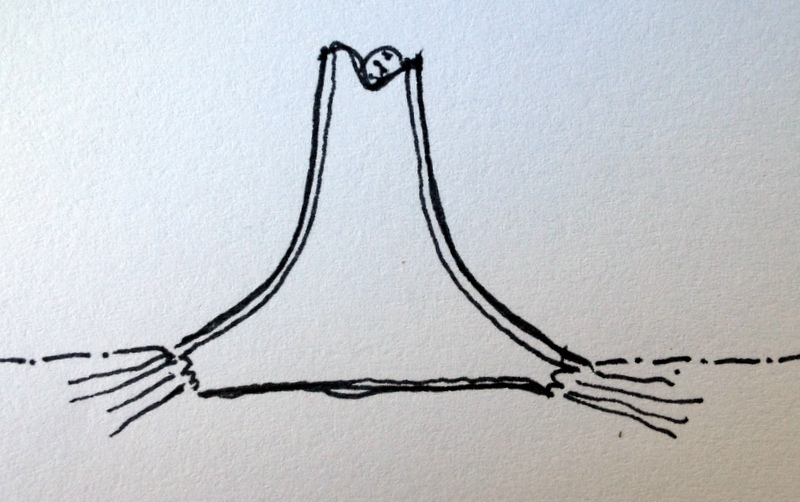 The tree was to become a raft. Elms root very well but I felt a few areas of exposed cambium could only help speed rooting along the trunk up. 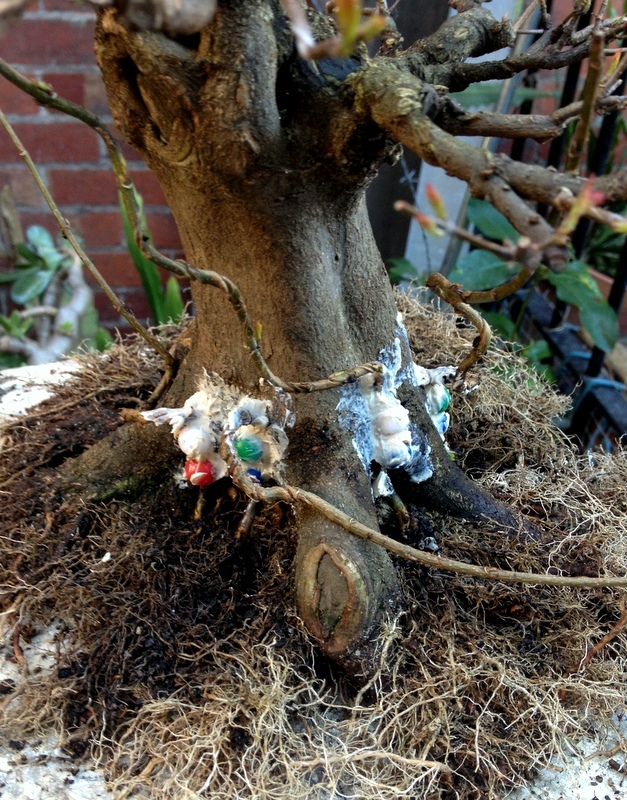 I also put a couple bits of wire on the main branches to set the basic structure of the tree. This is a fairly one way solution. In order to get the trunk to lie over I have had to cut off half of the nebari making standing the tree up in the future not really an option. 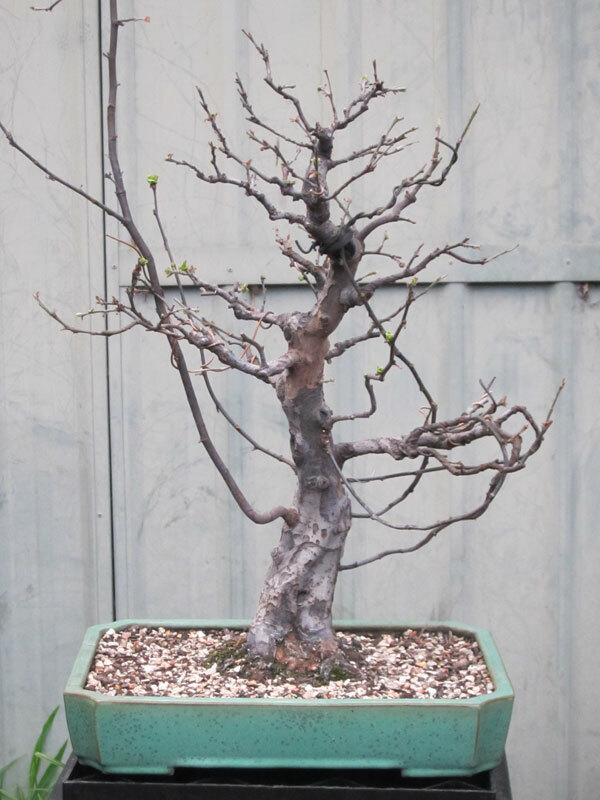 That said I am sure you would agree that this clump or turtle back style transformation is definitely one that has improved the tree for the better. The tree has a long way to go and it will be interesting to see how the corky bark copes with the close soil contact, that said I think that in the future it will grow into an interesting tree. 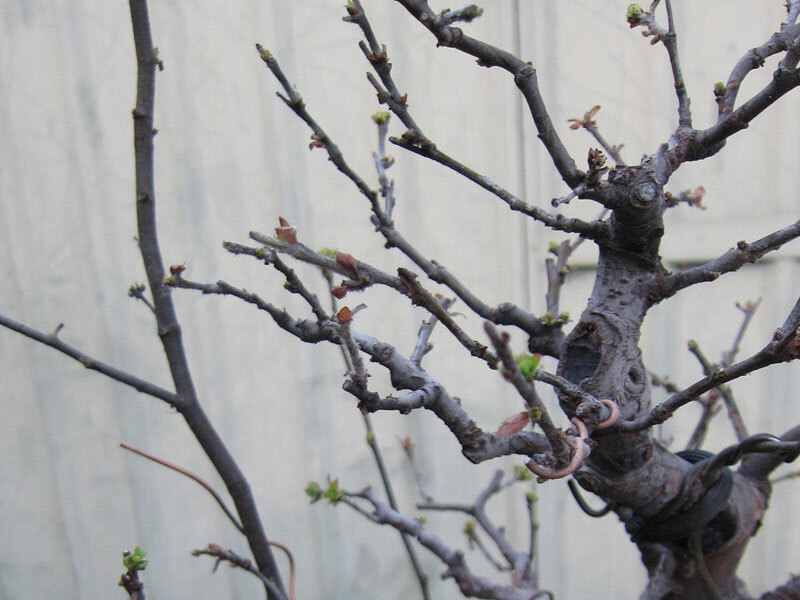 Depending on how it leafs out, I will most probably give it a prune and full wire some time in mid summer. 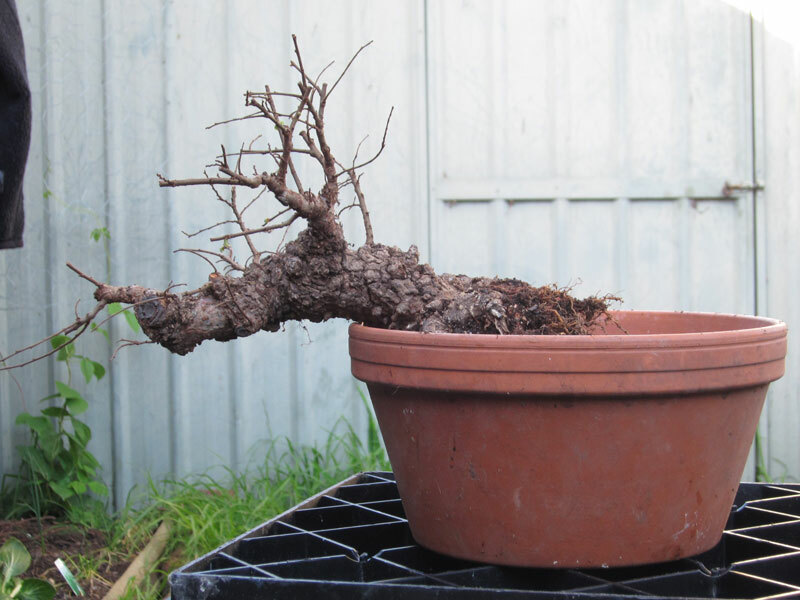 Hopefully by this time next year it will have rooted enough along the trunk to get it into a more shallow pot and really start its journey as a bonsai. Spring is here? Chinese Quince. Right now Melbourne is deep within the throes of winter, in fact, judging by the temps we are right in the middle of it. It seems that my quince has other ideas. 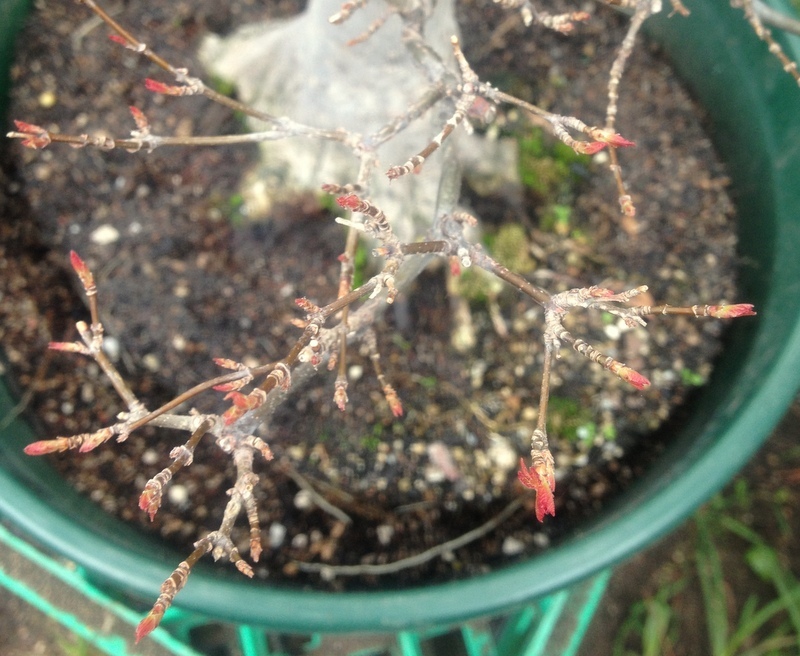 It has been steadily waking up and has just started producing new growth as if it is spring time. As a result I have had to re-pot. This is the second re-potting I have given it since I have owned it and was pleasantly surprised by the root-mass I found after the hard treatment it received after its first re-potting. 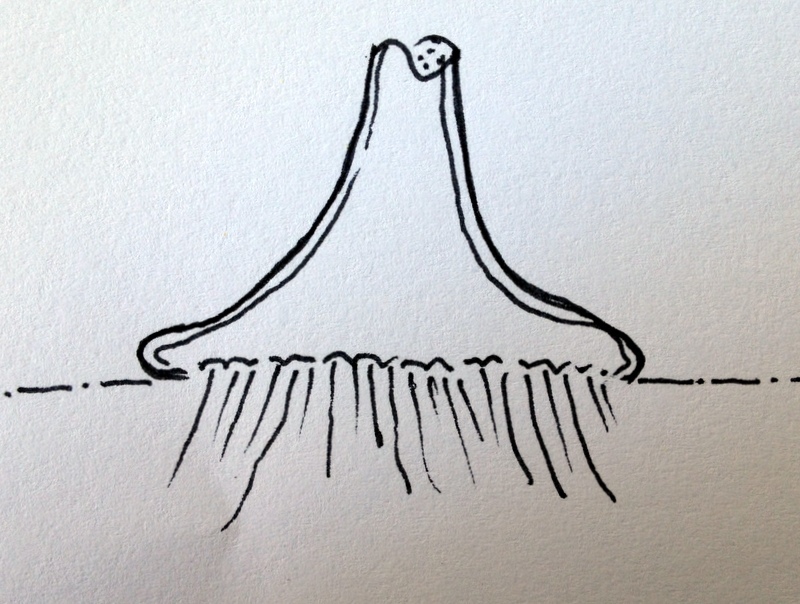 Looking at the roots from beneath. 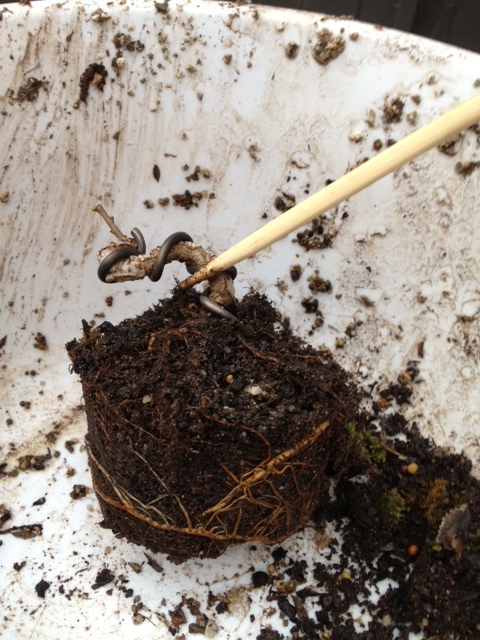 You can see that the roots that were growing downwards have been removed leaving an almost solid wooden base.. The tree went back into the same pot is was in previously. One thing you may notice is that a lot of my trees are in green pots. There is a reason for this. Where I live most pots of this age were in green tones. Around that time there was a local grower that hated blue pots and as a result of his experience and influence this lead to very few blue pots being bought during this time. As a result all my pots (which have mostly been bought second hand from other local members) are mostly green. I have not yet seen flowers on this tree. Hopefully this year I will get a few. I am not sure if this tree is mature enough to flower or not, or for that matter how old a quince has to be before flowering. If anyone reading this has an idea please post in the comments. 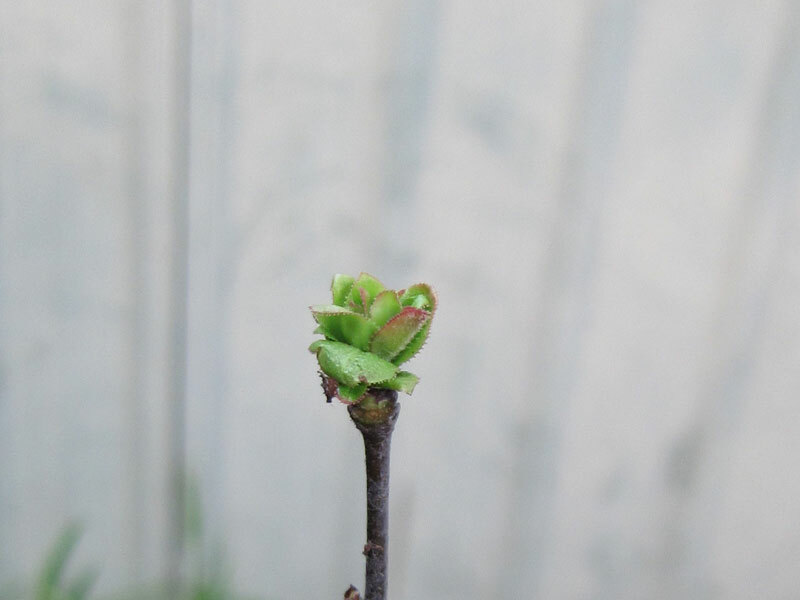 A lot of people have told me that the quince is an early riser and recently I was reading through some old Bonsai Today magazines where in one article they suggested re-potting in autumn due to the early growth and flowering. I think I will give that a go next year. 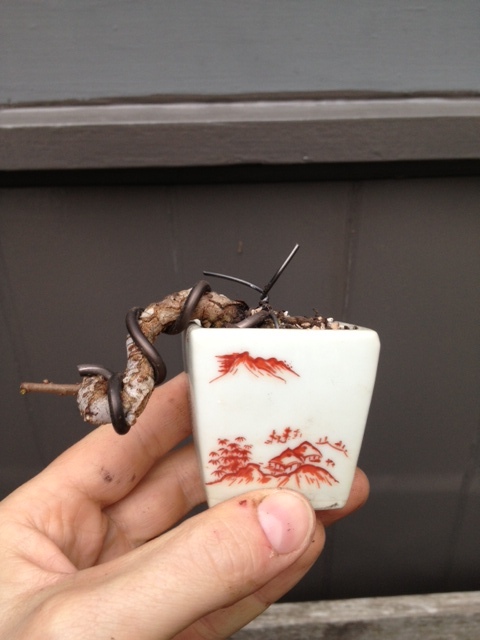 I have begun to re-pot some of my deciduous bonsai. I like to re-pot my pines closer to spring time so I do my deciduous species a little earlier in order to leave plenty of time for the conifers. 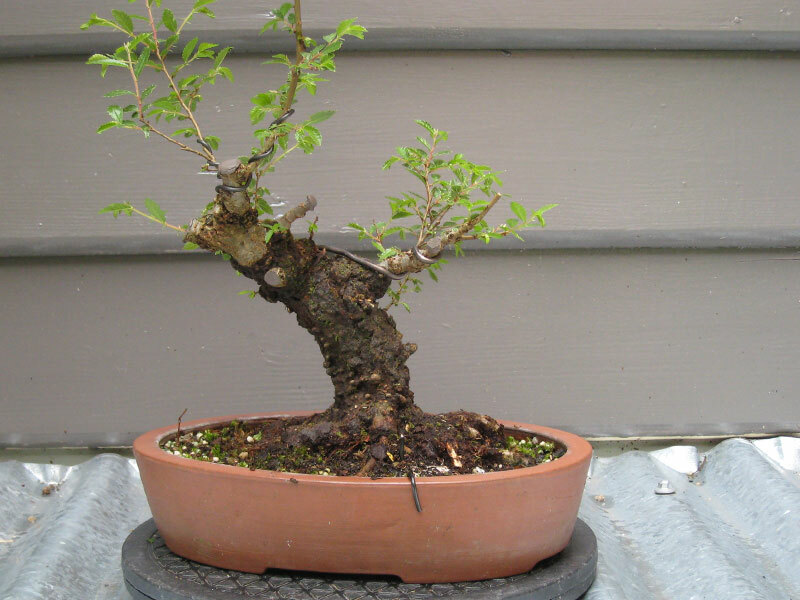 The tree in today’s post is an English Elm (Ulmus procera). 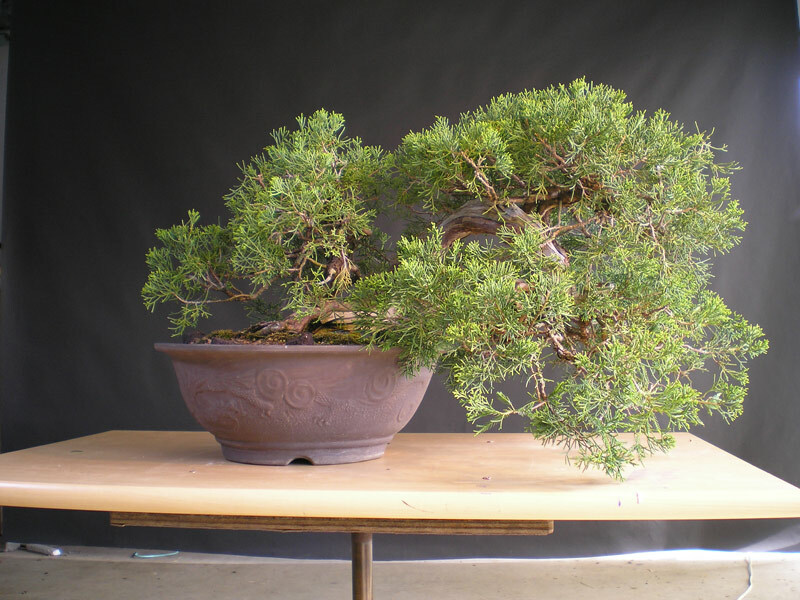 I picked it up at a local bonsai show last year. 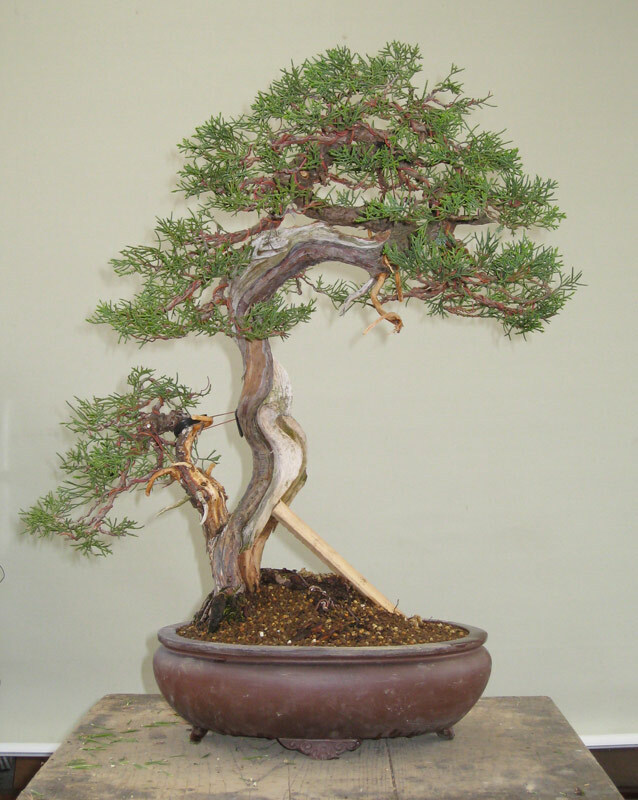 I have always liked clump style bonsai and am always on the lookout for suitable stock (which is quite hard to find). When I saw this little clump I quickly grabbed it. 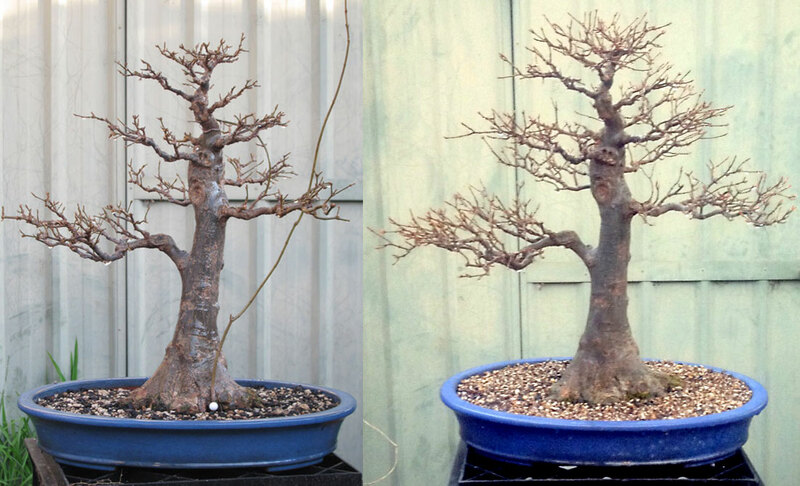 The Elm after a year in my care. 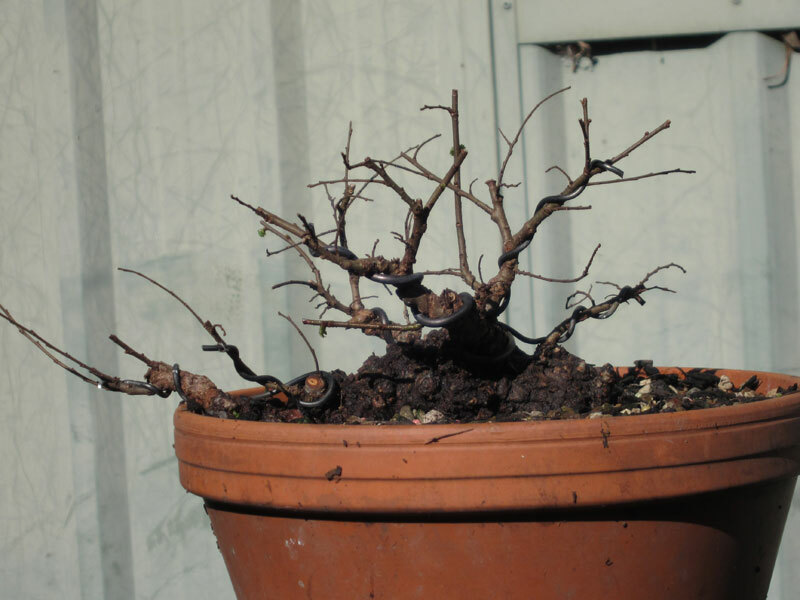 Since owning it, I have fed, pruned and wired a little. It proved to be a very strong grower so I defoliated 3 times during the growing season. After the 3rd time it did not bud out as strongly as I would have liked which means I will only do two defoliations this coming season. 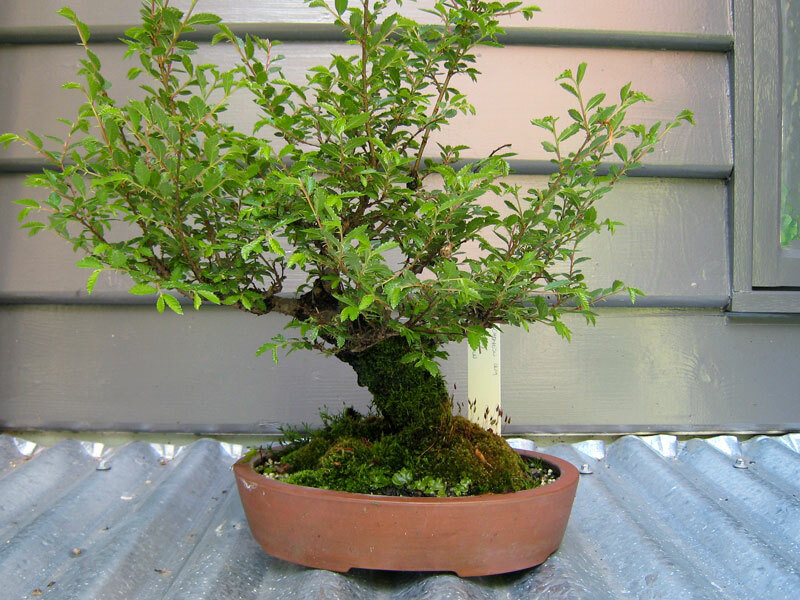 As the tree had been in a rather large terracotta pot it had developed a large rootball, as a result a fair amount had to be pruned off in order to get it into a bonsai pot. The underside of the rootball showing the cuts where some lager roots were removed. 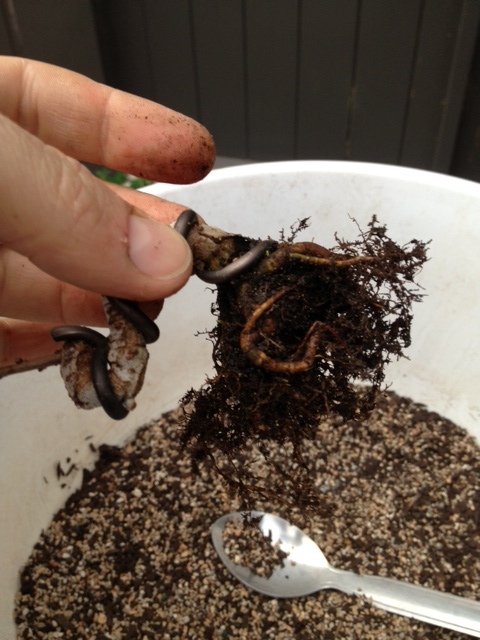 This re-potting I concentrated on removing all downward growing roots. 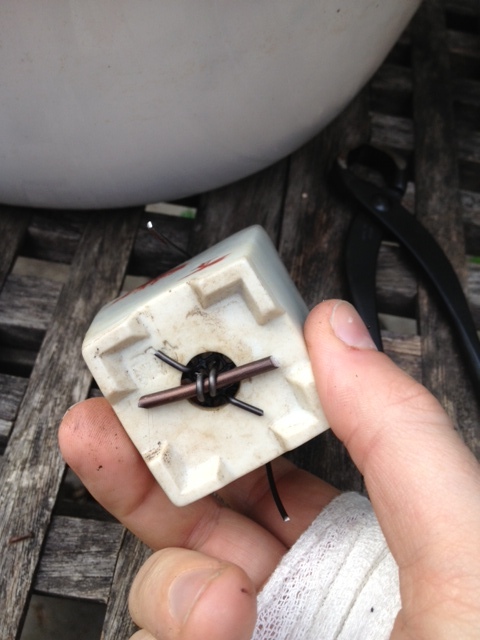 This lead to a large percentage of the rootball being removed. 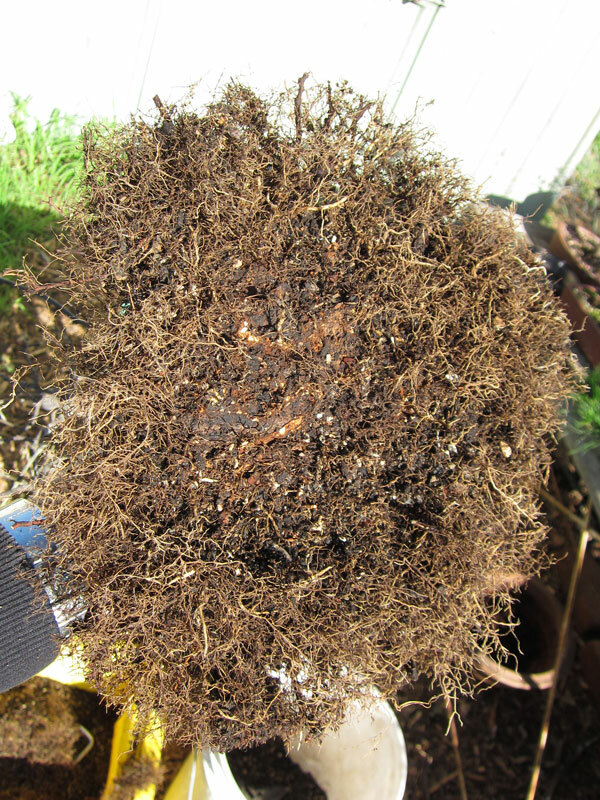 Although Elms are strong trees I thought that I would not prune the surface roots as much as I might otherwise due to the large amount I had already removed from the rootball. 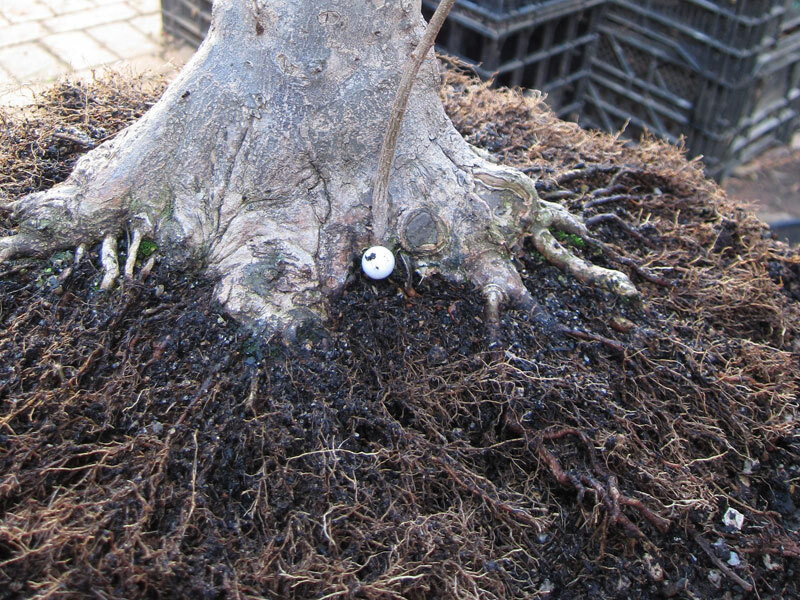 As you can see from the above image there are a number of large un-tapered roots. 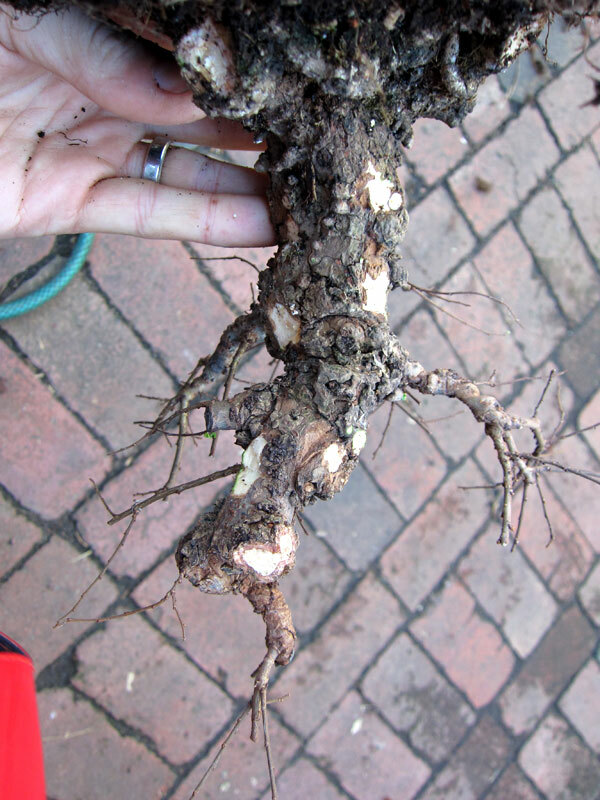 In the next re-potting I will be looking to reduce these roots to introduce some taper and delicacy to the rootbase. 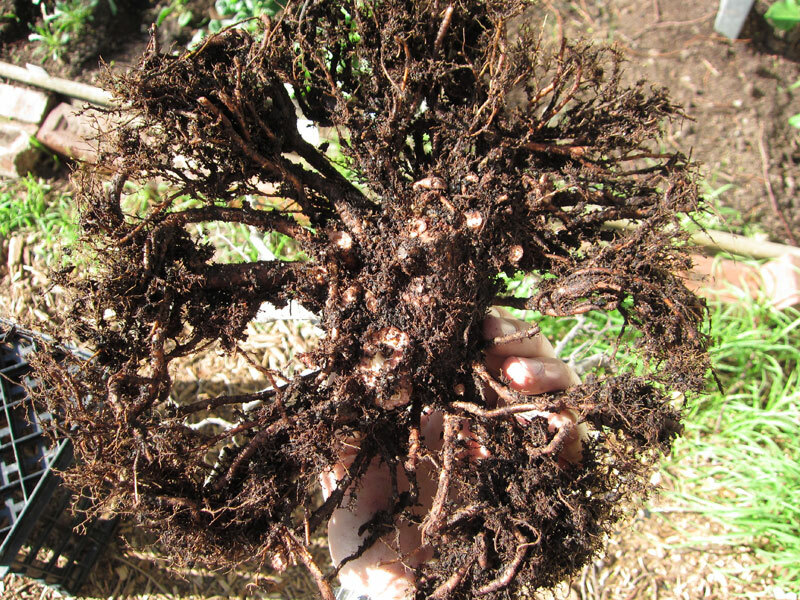 For the time being though, these roots will help the tree recover from the loss of the larger part of its previous rootmass. 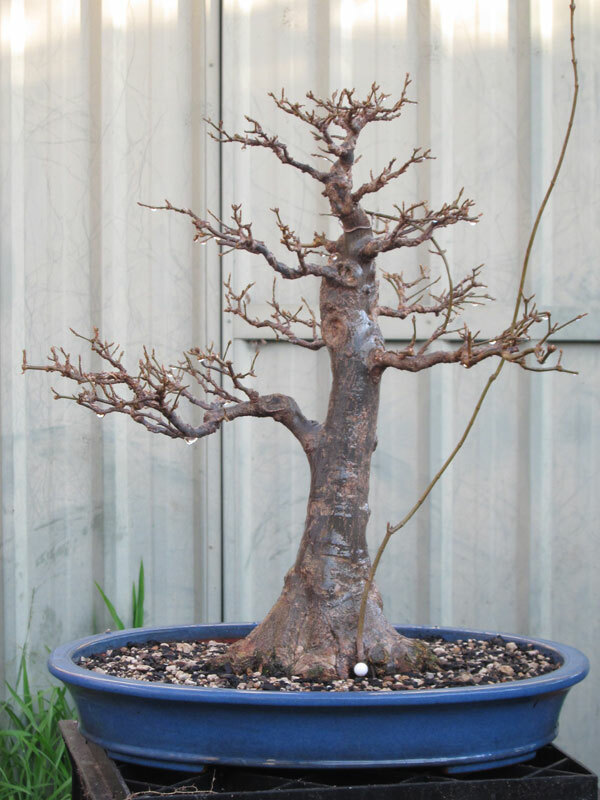 If you read my post “Two pots” you will be familiar with the two pot options I had for this tree. The two pots I had to choose from. Although I like both choices I ended up chosing the left hand pot. What i found interesting was how each pot gave the tree a different feeling. 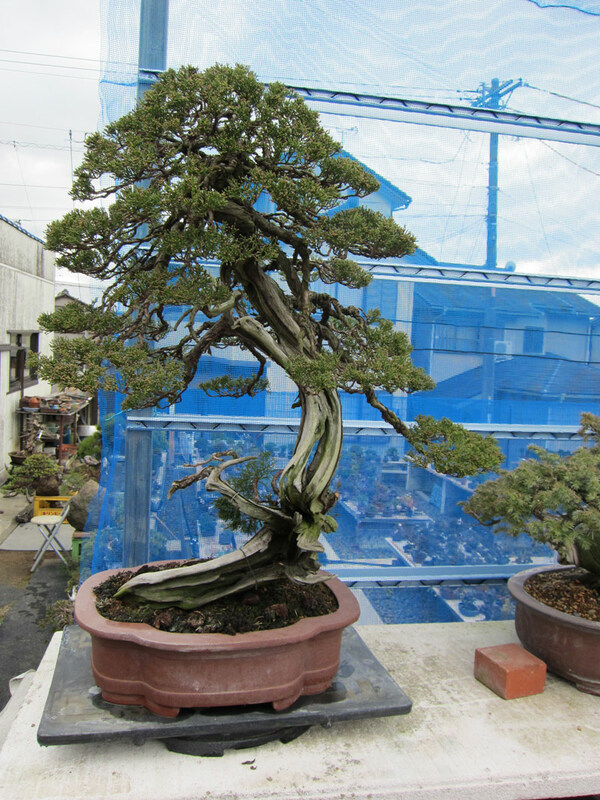 The left pot (Yamafusa ) gave the tree a more spreading feeling while I felt that the right pot (Ina Genzou ) made the clump appear much taller. 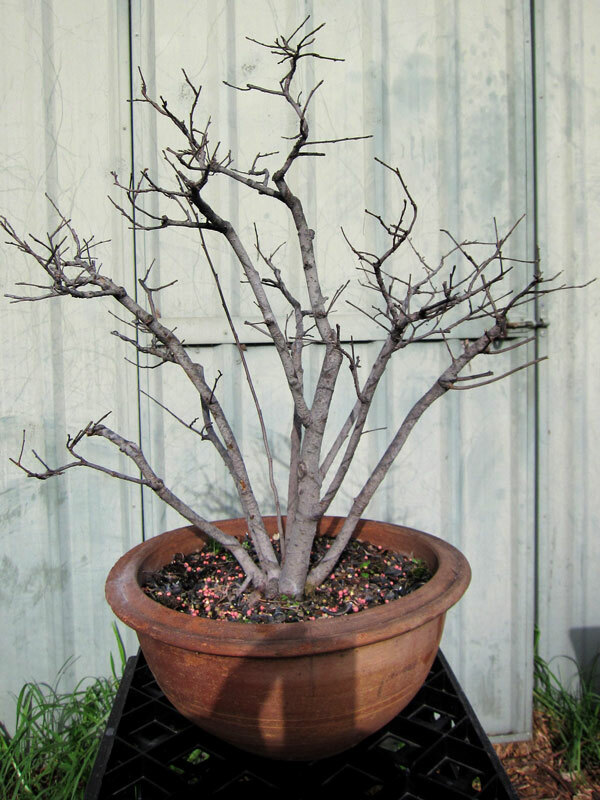 The beauty of liking both the pot/tree combinations is that I will happily alternate which pot I use in future re-pottings to give the clump a new feel each year. 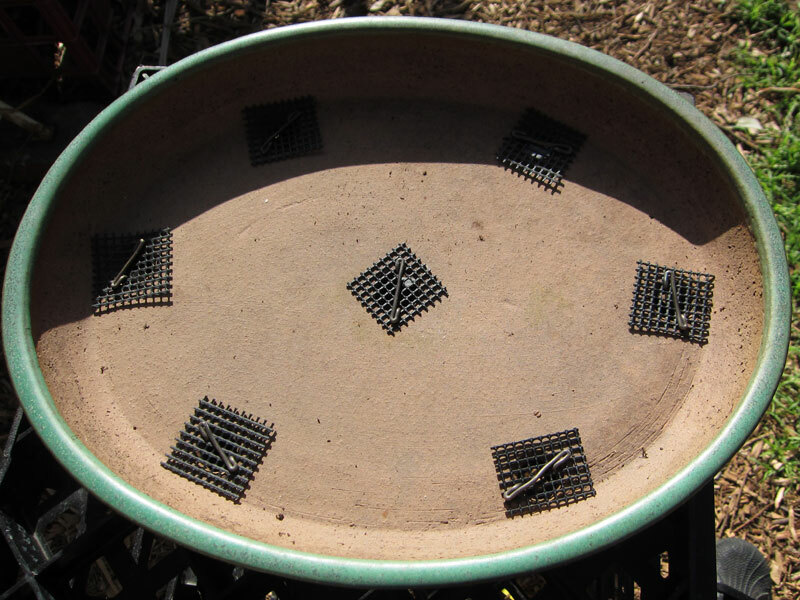 For its size the Yamafusa pot had a good number of drainage holes, each of which needed mesh screening to prevent the soil media falling out and to prevent some of the larger pests getting in. The Elm was then tied in firmly and soil worked in around the rootball. I feel the pot is a good fit to the clump and the green of the pot should work very well with the yellow autumn colours I hope to get next year. 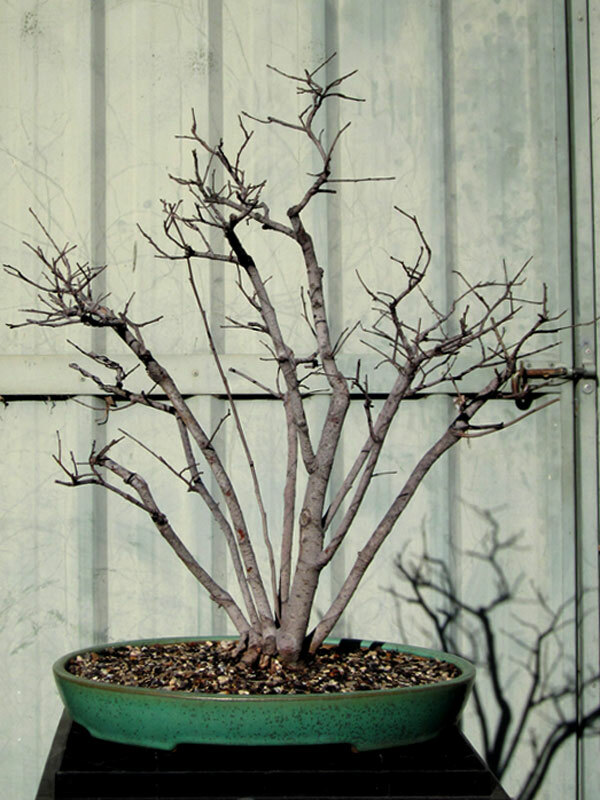 This clump has a long way to go before it is a good bonsai but it is now firmly on its way. 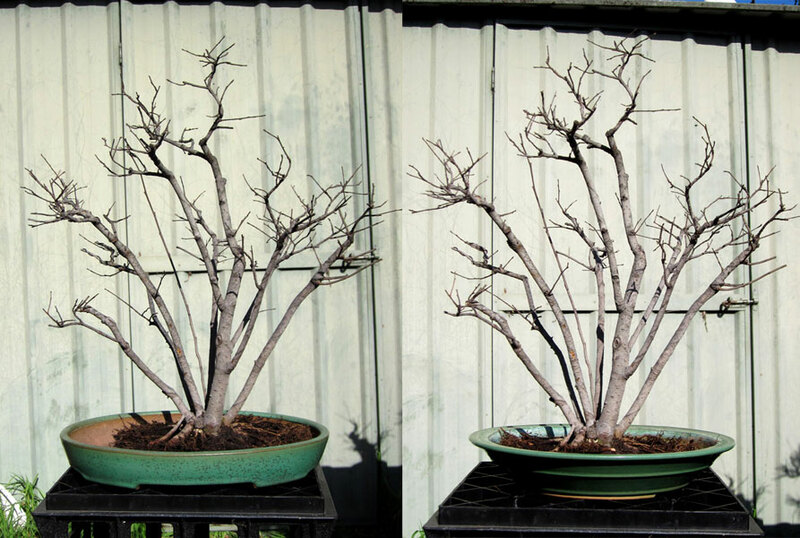 Hopefully heavy feeding combined with defoliation will add a fair amount of twiggyness and branching to the tree to further enhance its image.